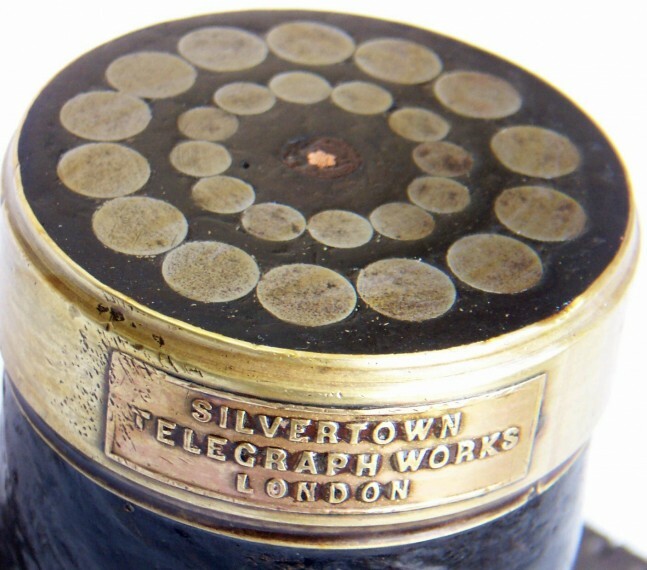 Sample of submarine cable, marked 1953B, manufactured by the “Silvertown Telegraph Works”. It is armored with 14 No. 1 gauge steel wires and 12 No. 5 gauge steel wires. The core consists of 7 copper conductors. This company abandoned the manufacture of cables during the 30´s.